Clean my hair, keep fresh all day. Been using this shampoo for years. Doesn’t dry out hair. Looks soft, nourished and shines. It doesn’t lather much on first wash so I wash hair twice. When I used it for the first time it left my hair feeling smooth and clean. Love it! I simply cannot stress enough how amazing this product is! My hair feels clean and hydrated & less flyaway and Iam so certain that my hair is growing more quicklybits incredible!!!. This is definitely my go to shampoo and conditioner now! My hair was very damaged from colouring so much, the ends were frazzled and constantly snapping. Used this once and left Conditioner in for 5mins before rinsing and didnt think much to start with but after blow drying and straightening my hair i was amazed at the condition. It felt so soft and manageable, my snapped ends were no where to be seen! Love this..! Bought it and the complimentary conditioner for a friend. She has long, naturally black, shiny curly hair and washes her hair once a week. She thought it would make her hair grow faster. 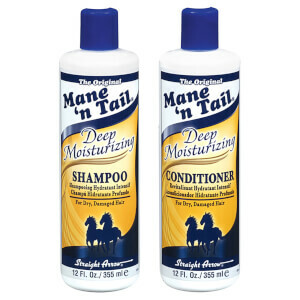 She stopped using it after two months because it made her hair really dry, especially the ends. This is totally the best deal for everyday wash. Pleasant fragrance and effectiveness of this shampoo made me totally adore it. It makes hair really softer and reduces the necessity to wash it next day: hair does not get oily as fast as with other shampoos. Taking into an account very pleasant price this is good also for teenagers (bought it for my sister) who need to wash hair even more often. Excellent product with excellent results for my hair. this is my most favorite shampoo. I constantly buy it.